Looking for a place to stay in Munich that won't break the bank? Hostels are a great option if you are traveling on a budget. Clean, efficient, and hitting all the necessary amenities, good hostels provide a social setting ideal for solo travelers. And besides the usual dormitories, all of the recommended Munich hostels offer single or double rooms with private showers and toilets making them a decent option for couples and even families. Wifi, laundry facilities, and lockers are commonly available. Munich hostels provide great savings in what can be a very expensive city. 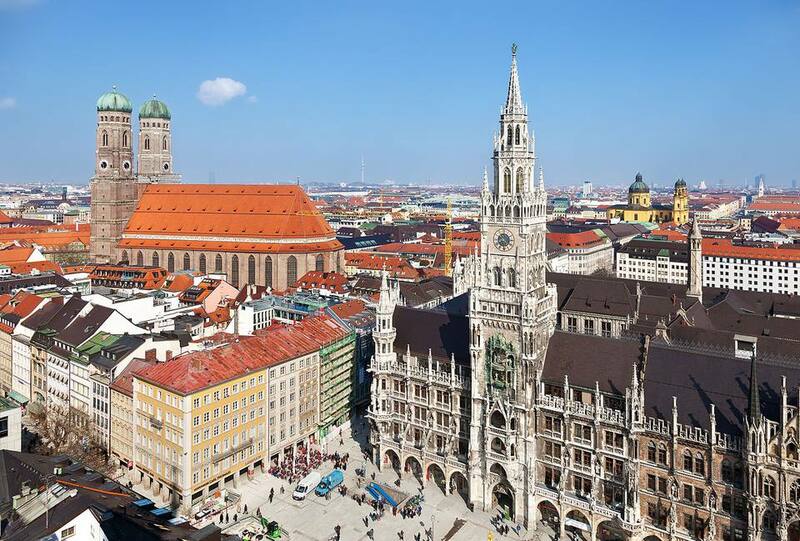 If you visit Munich during Oktoberfest, make sure to reserve your room well in advance and be prepared for higher prices - but still a bargain during the most expensive two-week period of the year. Book a stay in the best hostels in Munich. Located right next to the central train station of Munich, the Wombat Hostel offers dorms (starting at 19.50 Euro) and private doubles (67.50 Euro per room), including 24-hour reception, bed sheets, wifi, a welcome-drink, and a city map. The rooms are spacious, simple and clean, and the best landmarks of Munich's old city center are all ​in walking distance. The Euro Youth Hostel Munich is on a side street close to the central train station of Munich. You get a private room starting at 140.65 Euro a night, with a bed in a dorm from 33.95. The hostel features free wifi, walking tour, free drink with online booking, and a fill-your-boots-all-you-can-eat breakfast buffet included in private rooms and available for an additional 4.90 for dorm guests. Rooms feature recent renovations and upgrades as well as solid wooden beds handmade by a local craftsman. No creaking beds here! You can also feel good about where your money is going as a percentage of the booking is donated to a humanitarian cause. The stylish Meininger hostel has two locations in Munich: one near the center and one at Olympiapark. Rooms are clean, modern and spacious with dorms (including female dorms) and private rooms. Dorms start at 15 euros per bed, and private rooms begin at 55 Euro. Besides a bathroom, all rooms have a TV and wifi and painless 24-hour check-in. The hostels are family-friendly with play areas and amenities and pets are even allowed at the central location. To get around, there are bikes and packed lunches, as well as an underground carpark. You can meet other international guests in the ​hostel's modern M-Bar and on the rooftop terrace, which offers panoramic views of the Alps. With a new location in central Munich close to the Altstadt as well as an older location just steps from Theresienwiese (festival grounds for Oktoberfest), Smart Stay is the perfect place to lay your head. Smart Stay Hostel offers dorm beds in the 6-bed dorm start at 19.90 Euro, private singles from 68 Euro, and doubles at 98 Euro per night. The hostel features wifi, 24-hour check-in, Bavarian beer tastings and has a very reasonably priced restaurant with international dishes and a cocktail bar. One of the cheapest options in the city, A&O Hostel offers many rooms at the lowest prices in three locations around the city: near the center, train station, and München Laim. Rooms in the dorms start at just 9 Euro, and single and double rooms at 17 Euro per guest. Rooms are clean, bright and simple and prices include wifi, access to the balconies, bar, laundry, and game room. Children can also sleep for free. Note that this is a popular option for groups and it is common for noisy school groups to stay here as well. 4you Hostel is well located in the center. Wifi and breakfast is included in the prices of 17 Euros for the 6-bed dorm and private rooms for 36 Euro per guest. This hostel was constructed in the 1980s and was created as an ecologically conscious guesthouse. It maintains those standards today and offers modern, clean, and airy facilities. The Seminar Room is available for conferences in the heart of the building, and the bar and terrace are available til late in the evening.